Thanks for taking the time to stop by to learn more about the Mineral Springs Volunteer Fire and Rescue Department. Our fire department serves 43 square miles in Union County, North Carolina. Our department operates out of two stations. The main station is located on Highway 75 inside Mineral Springs, North Carolina and houses 7 pieces of equipment. The sub-station is located at the intersection of Rocky River Road South and Doster Road. This station houses 4 pieces of equipment. We have recently changed from an all volunteer department to a combination department (volunteers and paid staff). We are continually seeking new volunteers for our department. 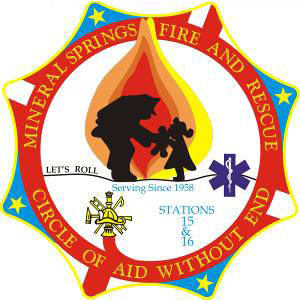 Please contact the fire department if you are interested in becoming a member at 704-843-3189 or email Chief Gaddy at chief@mineralspringsvfd.com. 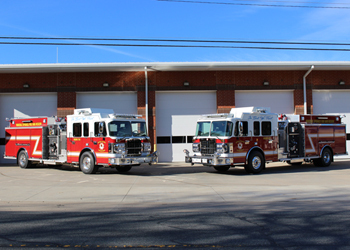 The fire department took delivery of two new custom built engines. They are both 2018 Spartan Metro Star custom cabs. One will be stationed at Station 15 and one at Station 16. Each engine has seating for six firefighters, and carries 1250 gallons of water, and has a 2,000 gallon per minute pump. We invite everyone to come see these new engines. 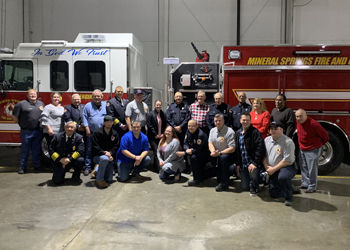 The Mineral Springs Volunteer Fire and Rescue Department is currently accepting applications for qualified paid part-time firefighters. Contact Assistant Chief Tony Belk by phone at 704-361-0316 or by email at tbelk@mineralspringsvfd.com for further information. 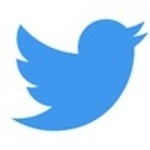 Please contact the Webmaster with any questions, comments and suggestions at msvfd.webmaster@gmail.com.